Why sell on eBay with PayPal? PayPal Seller Protection policy helps safeguard eligible transactions against fraudulent claims and chargebacks, so you can sell with confidence. No software to install and integration to be done for including PayPal payment option in your eBay listings. You can get started at ease. With PayPal, you get your money fast. When the payment is complete, the money usually shows up in your account within minutes. 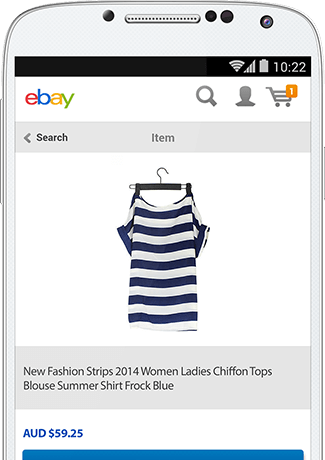 Get paid on eBay with PayPal.